@simplyorganized | Samantha, "The girl behind Simply Organized", has her own blog and is a professional organiser...yes that is right, she organises...as a career! Her feed is full of ideas, before/after comparisons and ways that you can get the best out of any area in your home by correctly organising it. Sounds boring, but take a look yourself. @lucylaucht | Not gonna lie and say I haven't scrolled miles down this feed multiple times but if you are like me and love pictures that give you a feeling of wanderlust or you just like pretty views - this account is for you. Always giving a huge sense of what each season means it reminds me to take advantage of the little details. For summer, it's things such as days at the beach, water, bright colours and pretty sunsets. @designlovefest | There is just something whimsy that comes across in Bri's timeline that has a rustic feel to it while it bursts with bright and fun colours. Each of Bri's photos always inspires me and brightens up my day. @vanessahudgens | My bohemian goddess and icon. Need I say any more. Those are just a few of my favourite feeds and I have no doubt that I will keep adding to the list as I waste spend time productively on Insta. 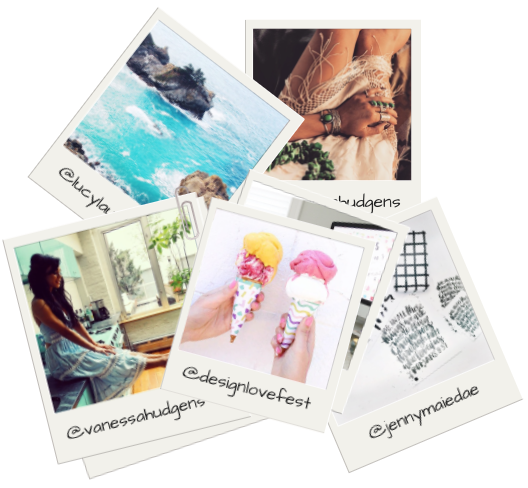 What are your favourite feeds on Instagram? I would love to hear!